Pictured: The Good Templars' Orphan Home opened in 1870 for admission of children from the age of 18 months to 16 years. A farm was operated by the Home to help with expenses and in 1872 a school was opened in the Home. The Home closed in 1919. The grounds of the Home later became a golf course and then a housing development. 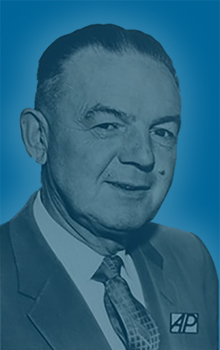 Luther Gibson (1894-1988) earned the title of Senator for his 18 years of service in the California State Senate from 1949 to 1966, as Solano County’s representative. He was a Democrat from Vallejo and represented the 15th District. 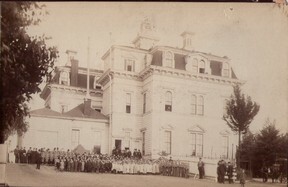 Photo courtesy of the Vallejo Naval & Historical Museum. The Genealogy Society of Vallejo-Benicia is a non-profit, non-sectarian organization, created to promote interest in genealogical and historical study and research, to preserve and maintain interest in local history and to conduct such projects as shall contribute to that end and which include the acquisition and maintenance of a genealogical library, including a Vallejo-Benicia collection, for members, non-members and the community at large.